wind stampers and boy did we have a lot of fun! 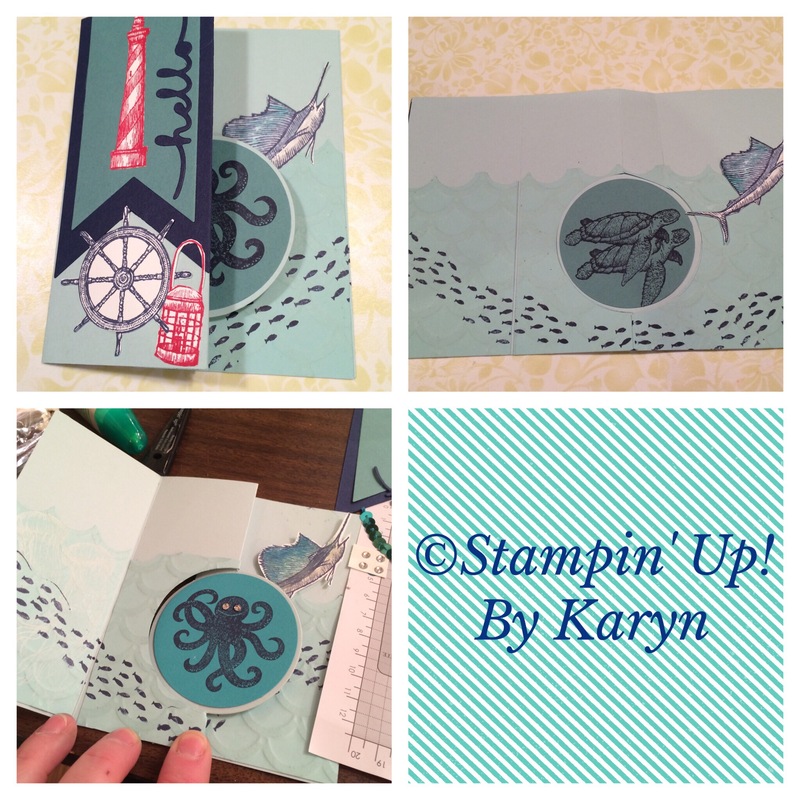 First up is this gorgeous card by our fearless leader Dania, she used a brayer to add color to the Typeset DSP. The set she used is called “The Wilderness Awaits”, #139365 page 86. 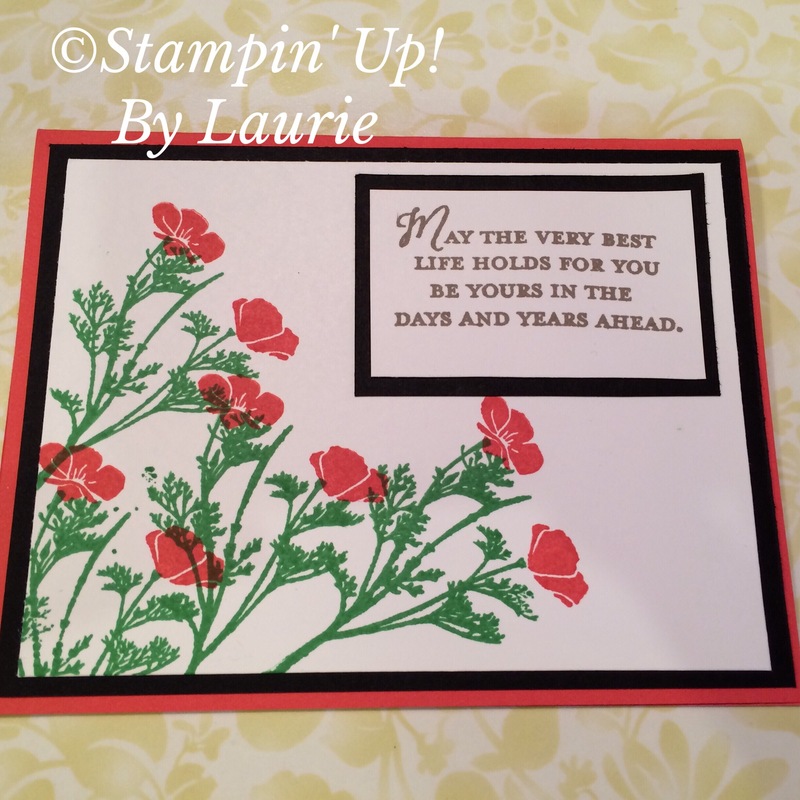 She use the new stamp set called “Wild About Flowers” found on page 74 of the new catalog item #138728 (this set has a lovely retirement greeting perfect as I have a couple of those coming up this month at work). 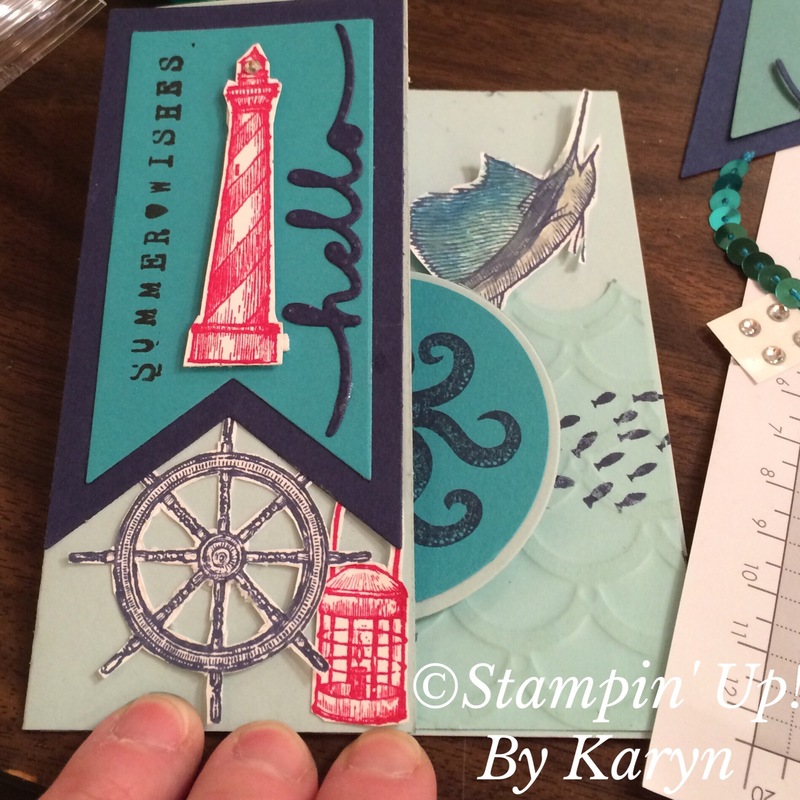 Karyn use the set “From Land to Sea” item #139361 found on page 83 of the new catalog also the cute Sea Street stamp set that carried over. This is a real showstopper with lots of fun elements on all sides! 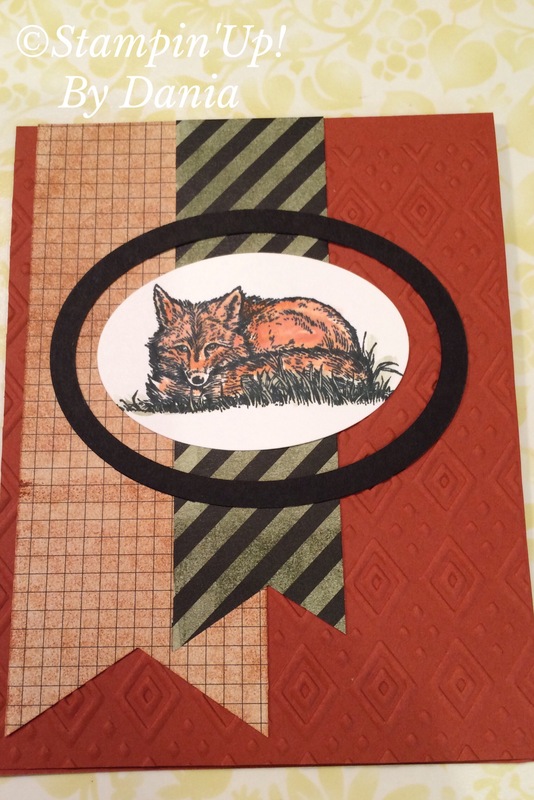 Thanks Dania, Laurie and Karyn for your awesome M&T projects this month! Come back tomorrow and see all our awesome swaps!! 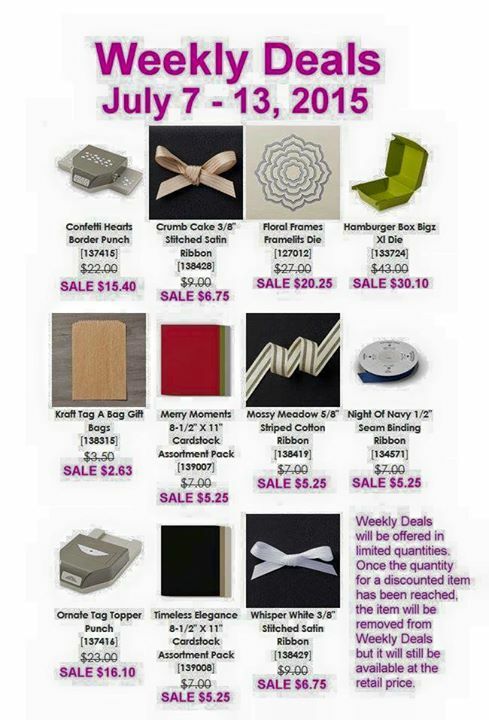 Here are the new Weekly Deals good until July 13, or while supplies last (yes, Stampin’ Up! is limiting these quantities at these awesome prices), so hurry and grab them before they’re gone!Thanks so much for stopping by today, happy Wednesday- hope you have some fun stamping time today, please let me know if you need any help ordering any of these awesome products! « Carnival and Vendor Fair at the Atrium!